For many New Jersey First-Time Home Buyers, homeownership just became a bit easier – and more affordable – thanks to a special 3% down payment, No PMI home loan offered by American United Mortgage Corporation. As part of their commitment to community reinvestment (CRA), American United is offering this loan to qualified buyers that purchase a home located within a moderate-income area as defined by the US Census Bureau. This includes, but is not limited to, many sections of: Bloomfield, Clifton, Elizabeth, Dover, Bound Brook, Linden, Rahway, Roselle, Roselle Park, Newark, East Orange, West Orange, Plainfield, North Plainfield, New Brunswick, South River, and Union, NJ to name a few. Private Mortgage Insurance (PMI) is an insurance premium required by lenders on nearly all Conventional home loans when a buyer places less than 20% down. 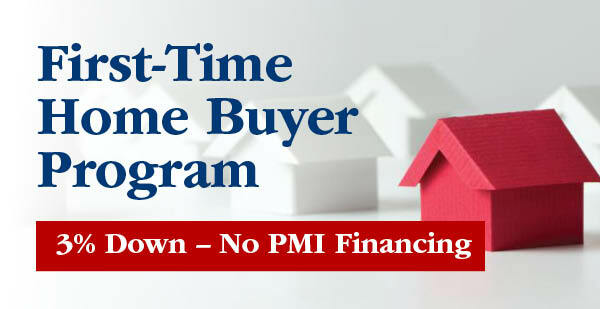 This PMI premium is then added to the mortgage payment each month and can add hundreds to the buyers payment. For FHA home loans, another popular low-down payment program, the monthly insurance premiums are mandatory and can be very expensive. The FHA loan also carries an upfront insurance premium. “Removing the monthly PMI premium requirement is a tremendous savings for our clients”, states Joseph Farella, Executive Vice President for the Scotch Plains based Mortgage Banker. “And since this is a Conventional loan, our clients avoid the high insurance premiums associated with FHA financing”, Farella adds. American United encourages interested First-Time home buyers to contact them for a simple pre-purchase review to make sure that minimum program requirements can be met. Call 908.322.5423, or click here for a no cost review.